Everyday number of new cases of Human Immunodeficiency Virus (HIV) and Acquired Immuno-Deficiency Syndrome AIDS is coming out in the society. HIV positives face discrimination and stigmatization everywhere in the society because firstly it is ill defined and secondly there is no cure or treatment for. People living with HIV/AIDS continue to be rejected by friends and relatives; fired or forced to resign from their jobs and subjected to violent assault (Herrek, 1990). Social Work exists because it fulfills crucial social needs. Social work serves people and society where there is malfunctioning or inadequacy. 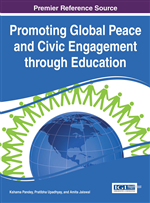 Social Work Education includes several tools and techniques to prevent problems through diagnosing causes responsible for maladjustment in society for contributing global peace in the world. The present chapter throws light on- 1. The problems face by HIV Positives and AIDS Patients. 2. Role of Social Work Education for minimizing or removing stress of HIV Positives and AIDS Patients for contributing to Global Peace. In the words of Deshmukh (1954), “India’s declared objective is the attainment of a welfare state that means that we shall steadily strive to work to bring about conditions of life that will assure every citizen freedom from want and a fair share of the necessities of life.” In our Indian constitution too Article 21, a Fundamental Right states that no person shall be deprived of his life or personal liberty except according to procedure established by law. Article 47 directs the government to improve public health stating: “The State shall regard the raising of the level of nutrition and the standard of living of its people and the improvement of public health as among its primary duties.” The social work concept is also based on the same principles that grew out of humanitarian and democratic ideals and its values are based on respect for the equality, worth and dignity of all people living in the society. Human Rights and Social Justice serve as the motivation, inspiration and justification for social work action. In solidarity with those who are disadvantaged, the social work profession strives to alleviate poverty and to liberate vulnerable and oppressed people, especially women and children, in order to promote social inclusion. Social Work Profession helps in addressing the barriers, inequalities and injustices that exist in society. Its mission is to help people to develop their full potential, enrich their lives in such a way that they can help themselves. Undoubtedly the social changes which social work has had to accommodate- changing demographic structures; increased poverty, exclusion and disadvantage and the inter-nationalization of social problems will continue in the future to impact on social work. On the same way professional social work witnessed numberless competing and potentially conflicting ideologies. There is not a single nation remained free from the cruel clutches of Human Immunodeficiency Virus(HIV). In the present scenario, problems that remained unattended are increased surpassing the limits and time in the number of people living in poverty, a rising juvenile delinquency status, unaffordable for workers and poor people, a serious backlash against illegal immigration, laws to protect us against terrorism that often limit our social liberties and a potential shortfall in social security and Medicare funding for pandemic like Human Immunodeficiency Virus/Acquired Immune Deficiency Syndrome (HIV/AIDS), Ebola, Swine flue, Tuberculosis and other occasional diseases. Tanzima Zohra Habib and Mohd. Siddiqui Rahman (2010) observes that illness is an inevitable fact of human life. Man cannot live in a vacuum. Therefore, like all other events of him, illness is influenced by socio-cultural as well as biological factors. Illness refers to biological, psychological or social conditions that are often understandable in a social or cultural context. Hence illness and death comes to all. Ironically, AIDS is a kind of chronic illness that not only ends with the termination of life but also has a long term impact on the day to day living of the patient and his family and that can make the person physically, psychologically and socially disabled. AIDS is a particularly deadly disease, an illness with a fatal end that destroy a person’s immunity against infection, thereby leaving the individual defenseless against a variety of afflictions like cancer, pneumonia, tuberculosis and a host of viruses. Currently there is no treatment for HIV/AIDS and it is clearly progressive and always remains fatal. The expectation of permanent loss of the loved one can make it extremely difficult for a family to maintain a balance perspective. HIV/AIDS is a behavior-based disease. However it is not spread only by the behavior of those engaging in high-risk activities. It is spread also by the discriminatory behavior of people and governments towards the victims.